Even though I am in love with the design, even though I fall in love with my job, there is an integral part of my life that supports this love, it is music! Few days left for Valentine’s Day, I was affected by the smell of love in the air and filled up this month’s music list with love songs. Although I said filled up, do not expect much. It has only 10 songs and I listen to them over and over again. If you started to design Valentine’s Day’s posts or ads, these songs really help you get into the mood. While talking about music; I would like to suggest a few movies that you might like. Love of My Life – The song belongs to Freddie Mercury, the lead singer of the Queen band. If you’ve watched Bohemian Rhapsody movie you’ll understand why it’s in the first place. In the film, you can also see Freddie studied design and he designed the logo of Queen with his own. 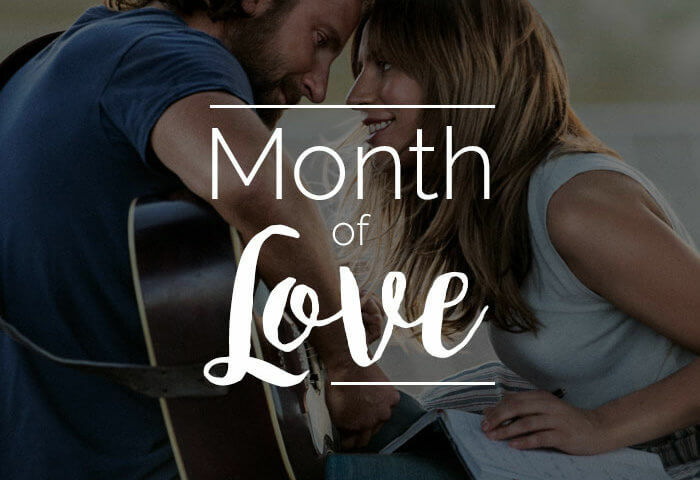 Shallow – A devoted song with the performances of Bradly Cooper and Lady Gaga. Also, this song created 4 different music writers. It was used as the main music of A Star is Born. I suggest you watch this romantic and music-filled film about a real-life story. AYou can listen to other songs in the album along with the stories in the film. I hope you’ve enjoyed a movie that deeply touched me. The Night We Met – An accelerated song with 13 Reason Why tv series. Even though it was a song that I love to listen very much before watching the series, I can say that it became even more meaningful with the series. It was a series of strong social messages that showed the problems of high schools and elementary schools in America. The series, which assumed a different mission after the first season, initiated a charity campaign to support students who were under psychological and physical pressure in schools. That’s all from me, for now. You can add your favorite songs to this list and share the stories belongs them with us in the comments section.